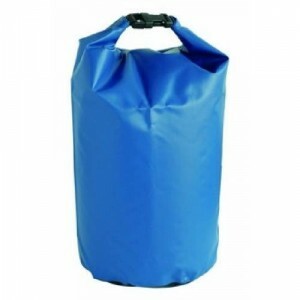 This extra-large waterproof bag has the capacity to store 115 litres, making it perfect for every sa.. Designed with all your sailing needs in mind, and to the highest standards, our waterproof, wheeled ..
It&apos;s the most versatile bag you can own a full-length waterproof bag to protect gear from rain..
55 litre (52 quarts) capacity (with closure folded down 3 times). Side carry handle, and full back p..
NEW FOR 2018. Smart, roomy and most importantly with well separated wet and dry compartments, the We..
Keep all your sailing gear protected from the elements in this 60 litre capacity kit bag. The fabric.. This durable and stylish tarpaulin barrel bag with reinforced nylon base is the ideal option for pac..
With 35 litres of storage space, our new season Race Team Backpack has been carefully crafted using ..
For transporting bulky loads in wet places. For rafting, travel, base camp, sailing and expedition u..
No matter the weather conditions, the Gill 30 Litre Race Team Bag will help to ensure your clean clo.. The Spinlock Deckpack is a super lightweight backpack great for everyday use on and around the water..
Light and versatile, the As-You-Want-It Bag is also seriously tough; made of TPU, it is eco-friendly..
Our heavyweight waterproof daysacks are tough enough to take all the trail can throw at you.This is .. Product Details • 100% waterproof iPad mini case- Class 5- IP68. 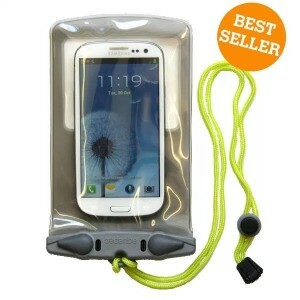 • Floats safely if dropped in water..
Smart and simple roll-top closure for enhanced waterproof performance. Top carry handle with velcro ..
Additional carry handle with Velcro joiner for comfortable carrying. Front detachable pocket.Roller .. Compatible with all iPhone and iPad models. Able to take underwater (20 meters/65.6 ft). Allows for ..
A heavy duty 2 compartment, wet and dry bag. This bag is well designed with wet and dry compartments..
Would you miss photo opportunities just because your bag is not waterproof? This bag has a fold seal.. The smaller of our two Classic VHF cases. Fits most handheld radios.The most trusted waterproof VHF ..
Our Bute dry bags offer a complete range of dry bags in varying sizes to suit all of your needs. Ea..
Transparent window on both sides. Includes a small pocket for magnifier. Fabric: 1680D polyester. Si.. Designed for anyone looking for a smart and stylish way to keep their valuables bone-dry, the BW ult.. Submersible to 10m/30ftWhat&apos;s so special about this case? • You&apos;ll be able to talk and hea.. Whether on the water, beach or snow you&apos;ll want to protect your valuable devices plus you&apos;..
A plush-lined protective neoprene case with large zippered opening.Features • Plush-lined protective..